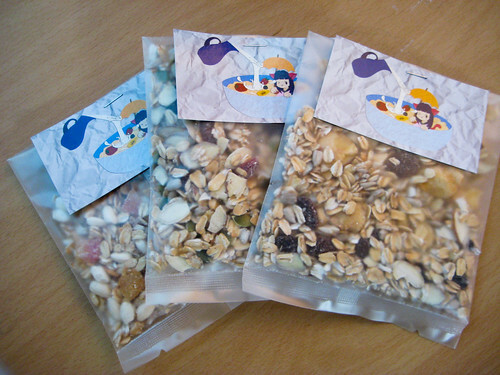 I was recently contacted by Annie Park, a vegetarian in Korea who, along with some of her friends, has started a small business selling homemade muesli! 'Milky Rain' is their name, and they currently have five different mueslis, four of which are vegan. Each has a catchy flavor title like 'Sunshine Island' and 'Morning Calm,' and their website is cute to boot. As I'm sure you already know, I'm a huge fan of oats. 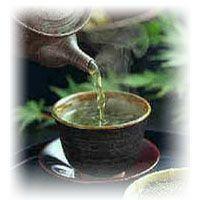 I eat a big bowl of it every morning, without fail. But I don't usually eat it cold, which is how muesli is typically eaten. I love my oatmeal hot, thick, and porridgy, so I wasn't sure how I would feel about eating a breakfast of cold oats. However, with the warmer weather coming up, I might actually start to prefer museli. I don't think I'll want a bowl of steaming oats in my belly when it's just as hot outside, so muesli could be the answer. 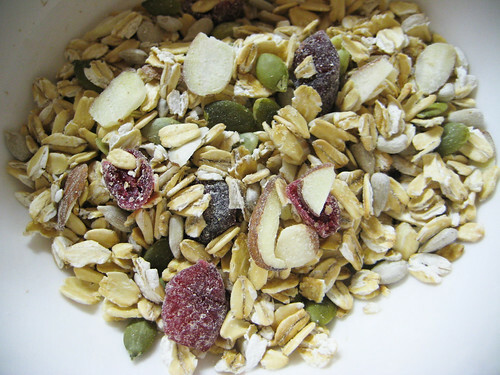 Diet Delight- rolled oats, sunflower seeds, cranberries, sliced almonds, pumpkin seeds. 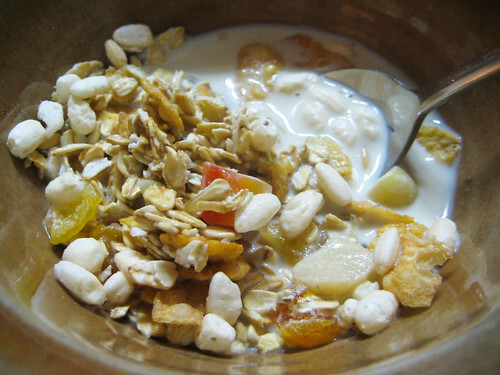 Ofcourse, anyone can make their own muesli- just mix rolled oats with whatever nuts and dried fruit your heart desires. 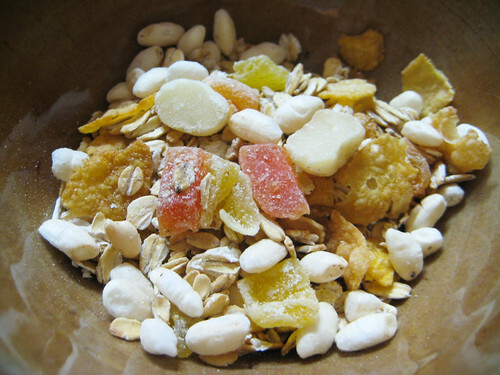 However, not everyone can be bothered to buy all the individual ingredients, especially the more unique ones like dried papaya, mango, or sweet potato, and then combine them in a way to make creative flavors. I've thought about buying muesli that I've seen at department stores, but since they're usually imported from some faraway European country, the steep prices have always held me back. So it's kinda cool that 'Milky Rain' is here in Korea, selling more affordable breakfast mueslis.